It was timeless landscapes of rice terraces and temples that gave Bali its reputation for beauty. Experience the island’s finest vistas without the hassle of navigating or the risks of self-drive on this action-packed door-to-door private tour. 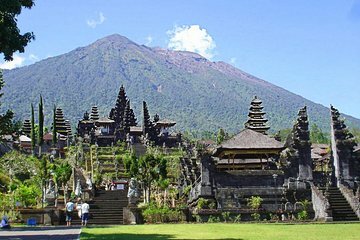 See Tanah Lot, Besakih, and Ulun Danu Bratan temples; savor lunch amid the rice fields of Pacung; soak up views of Mount Batur volcano; and visit a typical Balinese house.